What could be more adorable than a little baby bear cub? 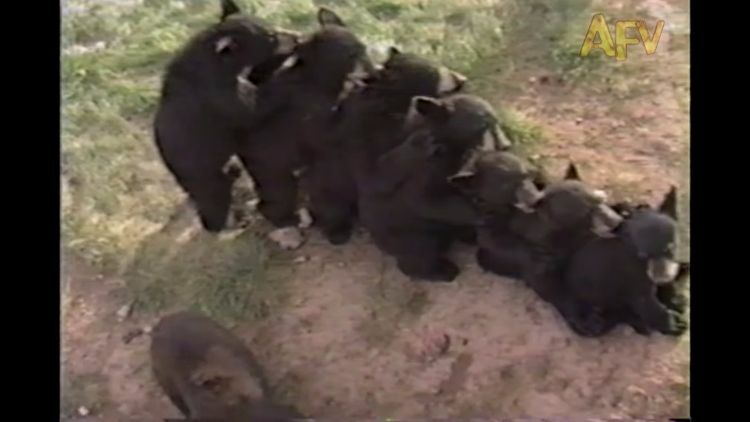 How about eight baby bear cubs all forming a line one behind another, grooming one another’s ears? While they look hopelessly oblivious as to why they’re forming a line, they just look so darned adorable doing it. It’s a cuteness overload! Is this unusual? Well, while they enjoy playing together when young, bears are, by nature, solitary animals and rarely live in groups. Older, dominant males may occasionally mentor an orphaned cub or bears may gather together where food is plentiful, but once adults, bears prefer to keep to themselves. So, who is the boss of this rabble? According to Bear Smart, bears have worked out a form of communication among their ranks that establishes a hierarchy when another bear is encountered. An alpha male may assert itself by intimidating other bears, but they do not fight amongst themselves unless it is absolutely necessary to do so. Bears are aware that to fight is to risk injury, therefore, they prefer to posture for dominance. Bears have far less understanding of communicating with humans, and will seek to avoid confrontation with humans wherever possible. Bears have no grasp of sounds like sirens or barking dogs and therefore tend not to be intimidated by them. No such worries from these docile, little guys, as they play together without a care in the world. 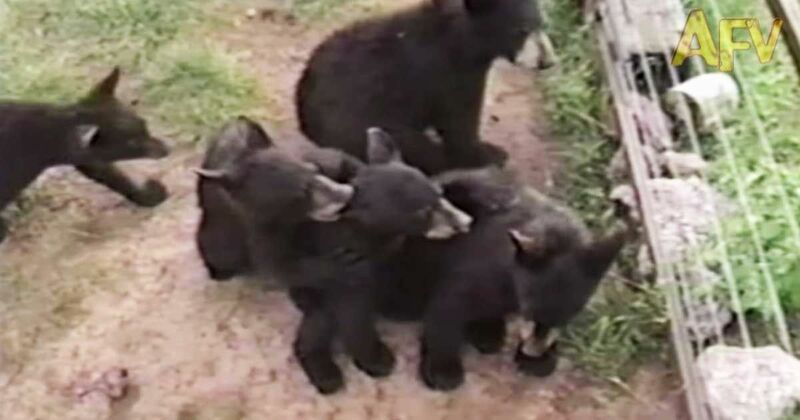 Take a look at the video below, and SHARE if you’re a fan a cute little bear cubs!